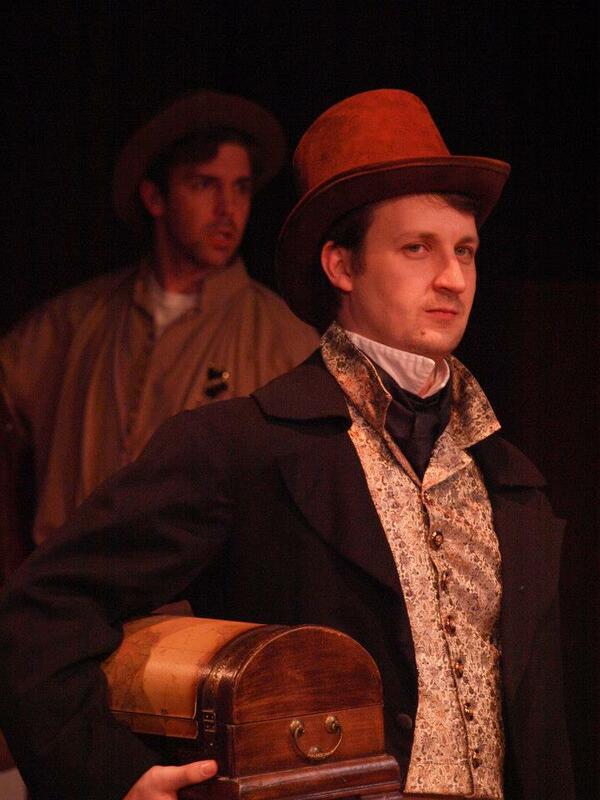 “The Kentucky Cycle” consists of nine one-act plays. The first is set in 1775, the last in 1975. What connects them is a specific piece of land, a homestead acquired in an act of violence. It changes hands more than once through deceit and treachery and is eventually ecologically raped by coal companies. It also tells the stories of three families — the Rowens, descended from an Irish immigrant patriarch; the Talberts, locked in a cycle of murder and revenge with the Rowens; and the Biggs, an African-American family descended from slaves. A key character early in the saga is Morning Star, a Cherokee whom patriarch Michael Rowen kidnaps, rapes and takes as a wife; from them the Rowen clan descends. Some characters first appear as young people and reappear in old age. The huge cast of the MET production is anchored by Equity actors Scott Cordes and Manon Halliburton. It features notable young performers, including Matt Leonard, Jessica Franz, Coleman Crenshaw, Kyle Dyck and Chris Roady. Veteran performers Alan Tilson and Sherri Roulette-Mosley are on hand, as is the Paisley family: Karen Paisley, husband Bob Paisley and son James Paisley all appear onstage. 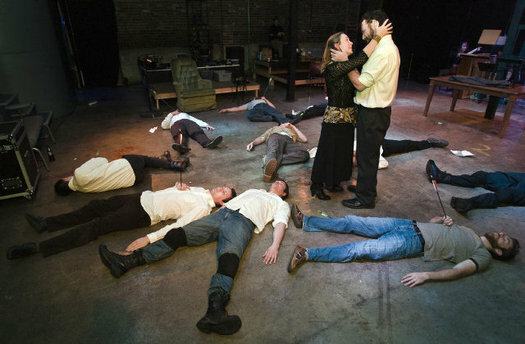 Now Hatley is back at the Living Room, a downtown performance venue where the stage configuration changes with every production, to direct a very different sort of play: William Shakespeare’s “Titus Andronicus.” It was the Bard’s first tragedy and is widely regarded as perhaps the worst play with his name on it. It’s also his most violent. 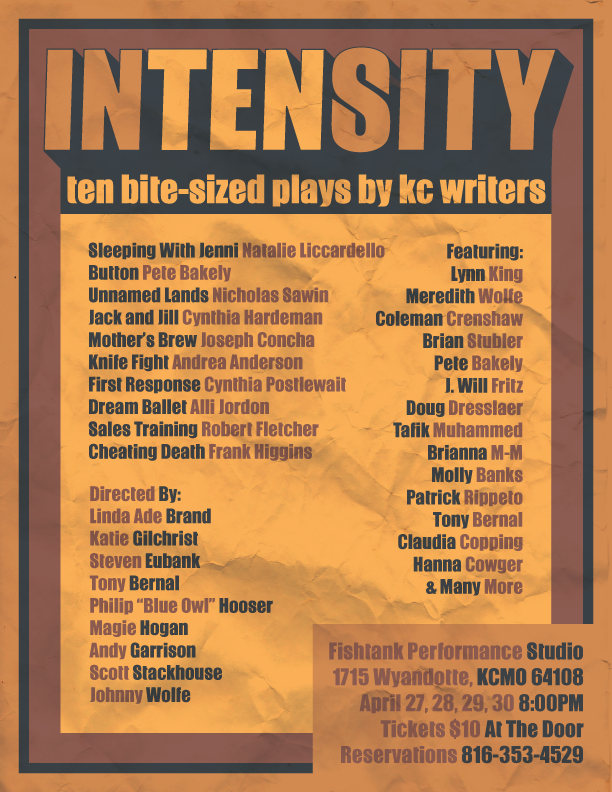 Coming Soon to The Fishtank Performance Studio!